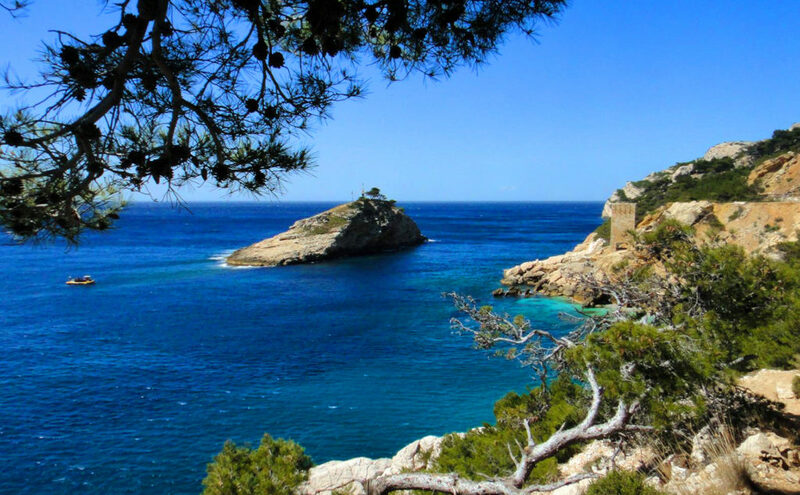 The Best of Marseille, Aix-en-Provence and Cassis, the French Riviera. 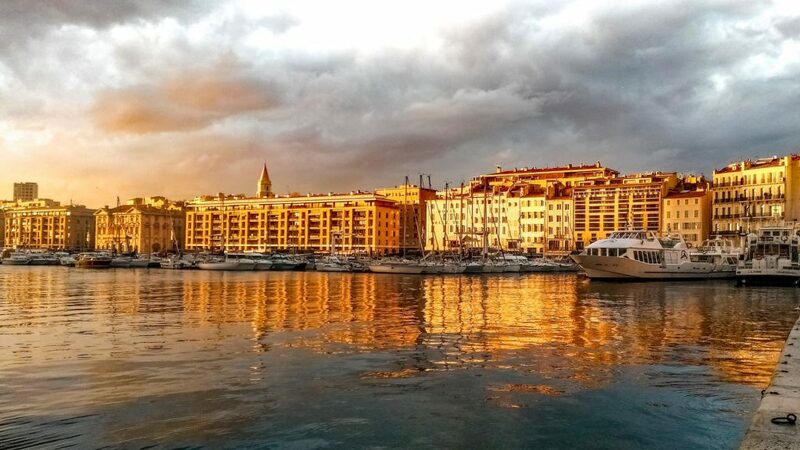 The Best of Marseille, Aix-en-Provence and Cassis: Three great towns just west of the French Riviera. Marseille is the oldest city in France, founded by the Greeks 2600 years ago. This rebel city is a stunning beauty! An important port city attracting people from all over the world stirring up one fascinating melting pot! First, we’ll take you up to the highest point in Marseille, Notre Dame de la Garde, to admire the spectacular 360° views of the city, coastline and islands, then drive into the oldest neighborhood in France, le Panier, a village within the city, full of artist, ceramic and figurine workshops. We’ll visit the Old Port where you’ll find the fish market and learn the secrets of their famous fish soup, Bouillabaisse. 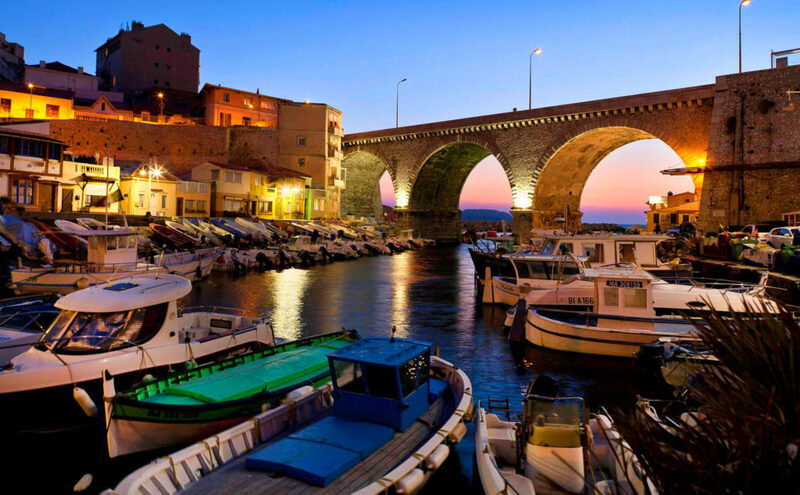 For more great views of the city, you’ll enjoy walking along the ramparts of Fort St. Jean, an important place in history, and crossing the super-modern foot bridges to the national museum, the MUCEM, the museum of Mediterranean and European cultures. Next, we’ll drive north to Aix-en-Provence. In this cultural and artistic haven with wonderful scents wafting from the lively morning markets, we’ll visit the Old Town, St. Sauveur Cathedral and one of Cezanne’s favorite hilltop painting spots. While wandering through the Old Town, famous for its 17th and 18th century architecture, fountains and squares, we’ll taste some local specialties such as calissons, biscuits and nougats. 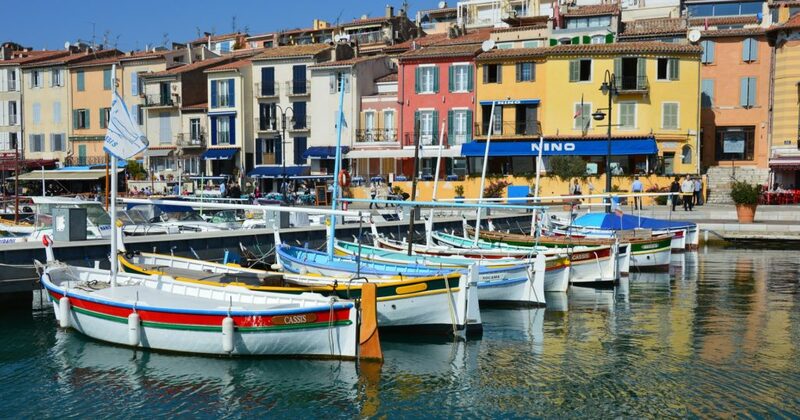 The picturesque town of Cassis will be next with a stop at one of the highest maritime cliffs in Europe, Cap Canaille, towering at 1200 ft. with breathtaking views of vineyards, mountains and islands then drive along the fantastic Crest Road for more spectacular views. 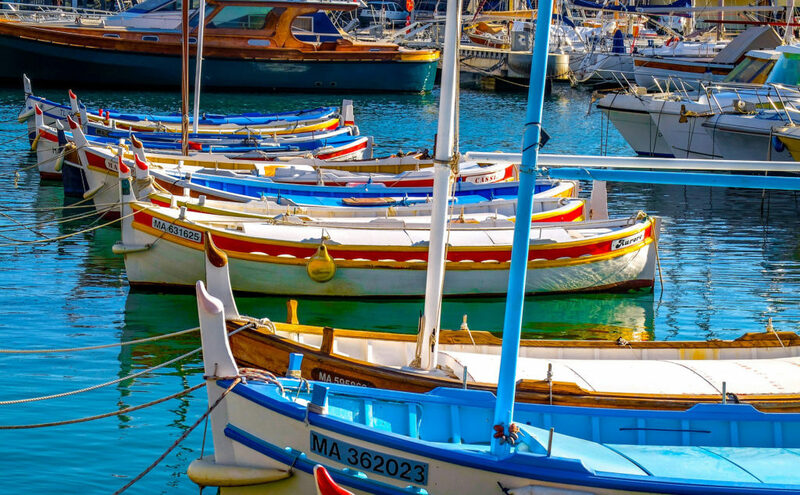 You’ll enjoy a walk around the little port with fishing and pleasure boats. 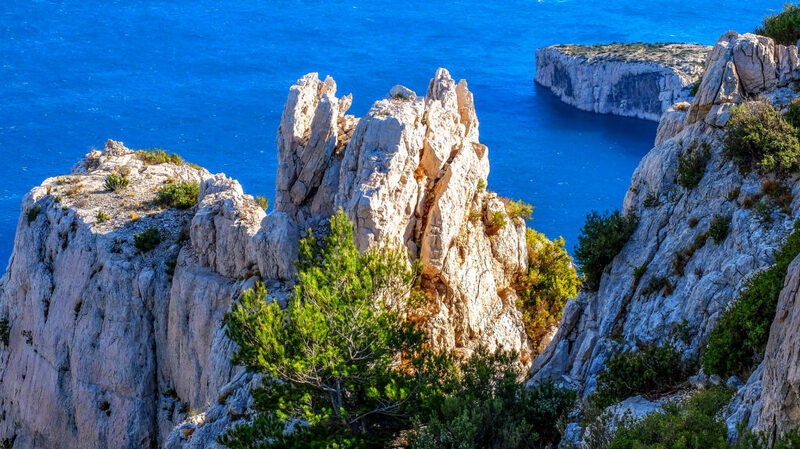 We’ll conclude this tour with a splendid 45-minute boat ride of the rocky inlets (les calanques) from Cassis (optional). The region of Provence, just next to the French Riviera, is much less crowded then the French Riviera with great wide open spaces, little ports, and great Mediterranean cuisine. Are you interested in Avignon tour full day ? The “Provençal Picnic day” features. You’d like to discover the best of three towns within your time frame? 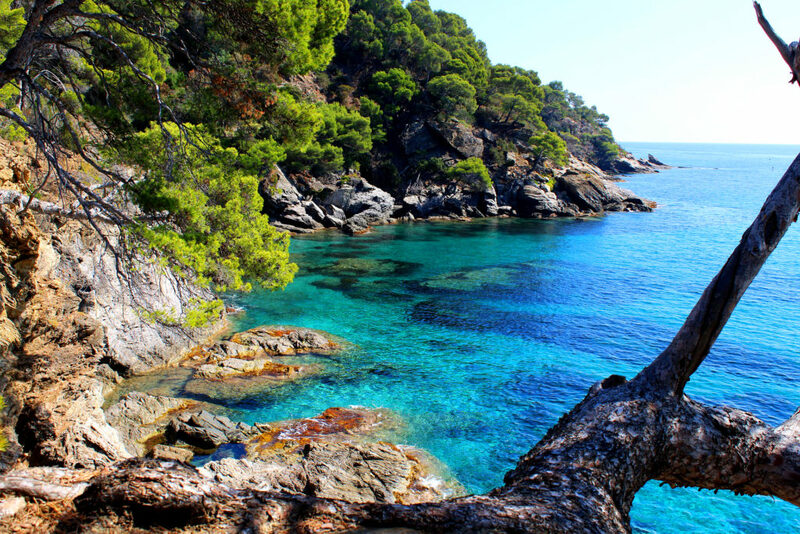 Try “8 hours three towns tour in Provence” from Provence Amazing Tours!